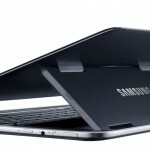 Launching ATIV Q at the Samsung Premiere event in London, Samsung has showed the world – best of both the worlds i.e. Windows 8 and Android. 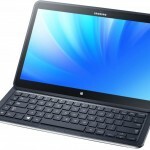 ATIV Q is tablet convertible windows 8 device that also runs the latest version of Android OS. 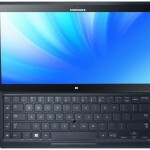 ATIV Q comes with integrated keyboard and it is designed in such a way that it can be used in a number of form-factors. The screen rests on hinge attached to the keyboard. The tablet convertible can be used in 4 functional positions – let the screen rest flat over the keyboard for tablet mode, or adjust the display to 90 degrees for use as laptop/ultrabook, or adjust the display to the desired viewing angle, or flip the screen to opposite side i.e. towards other person. The 4-in-1 design of this tablet convertible makes it much more convenient and functional in the position desirable to the user. 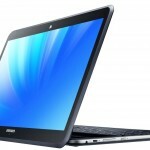 ATIV Q weighs 1.29 kilograms and is 13.9mm thick so the weight is not typical of the tablet i.e. 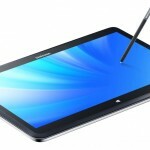 it’s heavy for a tablet; but given the specifications, that much weight has to be there. 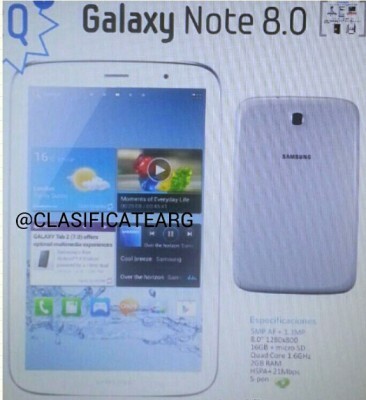 It has 13.3 inch display with screen resolution of 3200×1800 pixels (QHD+). Finally, we’re getting high resolution windows 8 tablets. The processor housed inside the hinge, is Intel Core i5 4th Generation (Haswell) with Intel HD Graphics 4400 GPU. CPU Clockspeed is not yet revealed. It has 4GB DDR3 RAM. 128GB SSD is there and it does have micro-sd card slot for increasing storage capacity. It’s not yet clear as how much of 128GB is available to the end-user since it houses two operating systems – Windows 8 and Android OS, alongwith Samsung’s exclusive softwares. On the front, there is 720p HD webcam as well. One USB 3.0, One USB 2.0, HDMI, RJ45(Dongle) ports are there. Headphone/mic jack combo are also present. S Pen with 1024 degrees of sensitivity. The integrated keyboard doesn’t have trackpad, instead a small mouse nub is there. 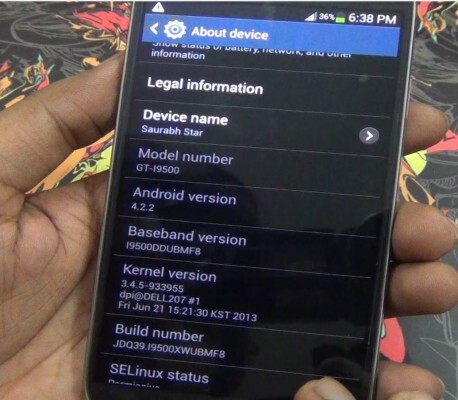 Easy switching between Android OS and Windows 8 OS. 9 hours of battery backup. 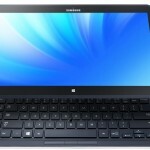 Samsung ATIV Q is true hybrid tablet convertible with dual os – Android and Windows 8. 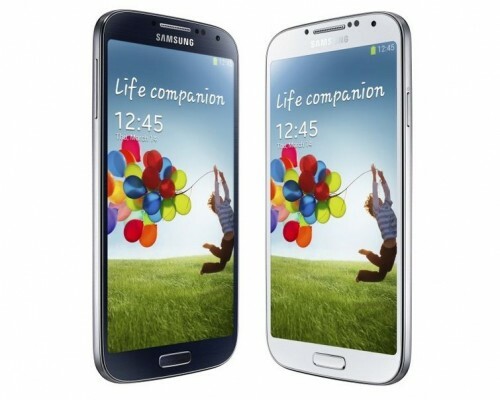 The design is also appealing and so do the specifications. The promised 9 hours of battery backup is something to test when we get to review the device. Its price and release date has not been announced, but we’ll update you whenever its availability is marked so stay connected with us.